Several of the “brazen” Irish scammers accused of ripping off Brisbane restaurants and businesses to the tune of tens of thousands of dollars have left the country, police say. The revelation from police came as audio emerged of a voicemail reportedly left on the phone of the property manager responsible for several apartments they allegedly trashed across Brisbane. Landlord Clara Carmichael told Seven News on Friday the accused fraudsters ditched four apartments on the city’s south side after failing to pay rent, leaving holes in the walls and clogging toilets with potatoes. “So you won’t be able to get any more payouts on your big plastic lips or your plastic rubber face,” a man with an Irish accent says in the audio, broadcast by the Nine Network’s Today program on Monday. 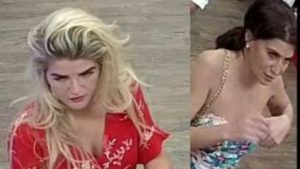 The motley collection of men, women and children have been linked to glass or hair planted in restaurant meals, shoplifting and dodgy construction across the city. 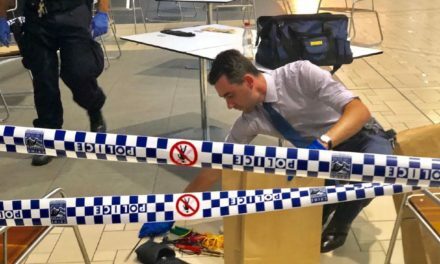 On Monday morning, Detective Superintendent Tony Fleming said they appeared to have gone to ground after massive media attention last week. “We know some of these people have left the country now and my detectives are still investigating and bringing it all together for those that may remain within the country,” he told the Nine Network. A series of businesses have come forward with tales of fraud since last Tuesday, when Bird’s Nest Restaurant owner Marie Yokoyama claimed a group of women planted glass in their food to get a free meal. As well as the food scams, reports included children distracting shopkeepers as parents stole items, as well as Irish men offering trade work such as bitumening or roofing to elderly people and either not completing it or doing a bad job. On Friday, Superintendent Fleming confirmed all of the complaints had been brought under one investigation as police worked to stop and catch the alleged fraudsters. By that stage police had received a dozen reports linked to the group, some dating to January. “There’s a bit of an art and craft to this, they generally remain highly mobile and they don’t stay in one place too long and my experience tells me they are generally alert to the practices of police,” he said.